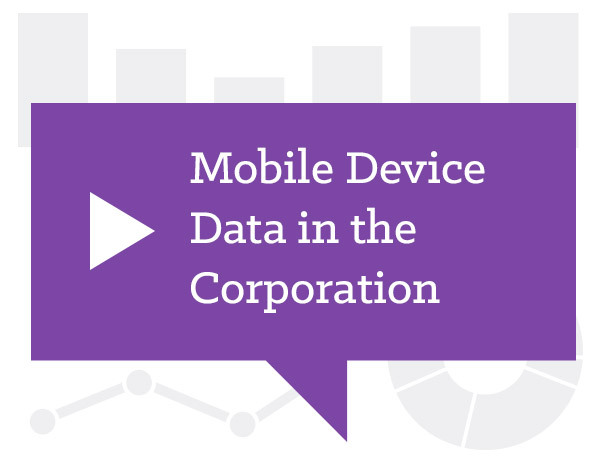 Whether you are collecting and reviewing for e-discovery or investigating for internal purposes, mobile device data remains tricky, hard to get and vastly important. Despite the complications, case law and regulatory drivers make it so the legal department, IT, and Governance, Risk & Compliance teams must be able to make mobile devices a routine part of e-discovery and investigative processes. 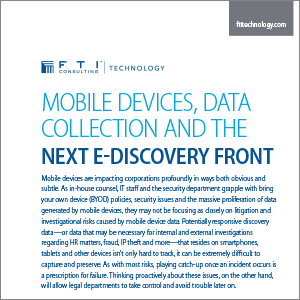 Deep experience with solving mobile device data problems in the context of e-discovery, financial investigations, fraud investigations, IP theft forensics and HR matters makes FTI’s forensic e-discovery team second to none. Working closely with clients, the team can deploy quickly to any U.S or extra-territorial jurisdiction—utilizing FTI’s state of the art forensic labs in New York, Chicago, Washington DC, San Francisco, Los Angeles, London, Hong Kong and Shanghai for any mobile device collection and analysis need. 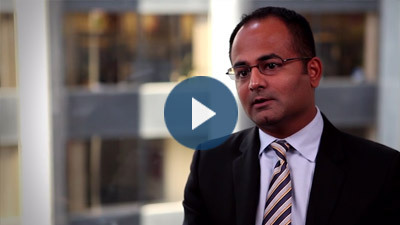 Overlooking mobile devices during e-discovery and investigations is no longer an option. These rich sources of electronically stored information are discoverable and the data on them is often highly relevant. Engage with FTI’s trusted and experienced team and solve your mobile device data problem today.